In my quest for the perfect Fish Tacos recipe, I’ve finally tweaked a gazillion recipes to find it! Even my fish-averse husband devoured these Fish Tacos in intense fervor! Yea, these fish tacos are that dang good! I took the red snapper from a previous recipe on Caribbean Fried Red Snapper that was marinated the day before in the traditional Caribbean Green Seasoning Marinade, sautéed the left-over fish in a skillet for about 5 minutes, created a crazy-outstanding creamy sauce for topping the tacos, and wah-lah! 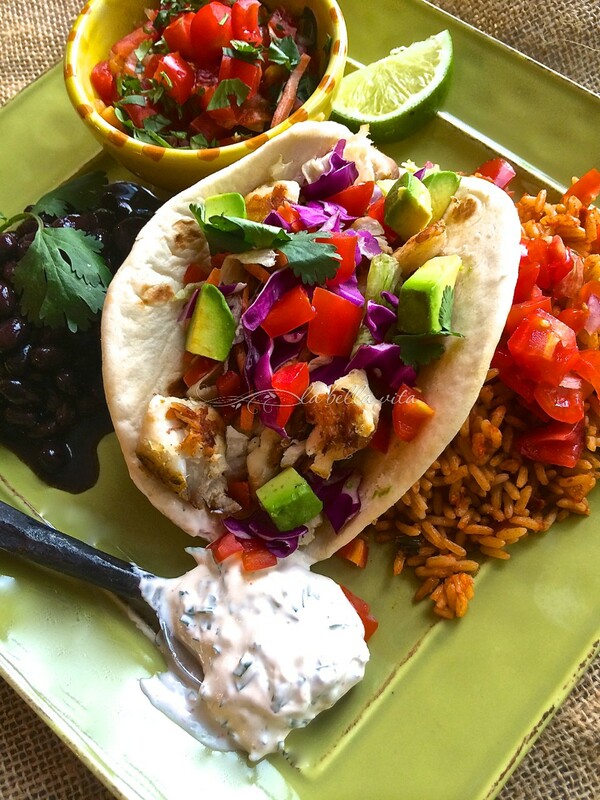 Baja Fish Tacos with Chipotle, Cilantro & Lime Crema! Just like most of my recipes, I like to make a LOT of things in advance, being a busy career person and mother, it’s how I roll! So prepare the fish ahead of time . . . it will keep for a day, OK? Chop up everything ahead of time if you wish, it will also keep covered in the frig for a day. Clean up the mess at this time, so you don’t have to clean up tomorrow. Doing this makes a BIG difference in the enjoyment of cooking! Assemble the fish tacos the next day when you’re ready. And now? Get ready for the “I want another one, please!” comments and praises from those you love! Plus be prepared to share the recipe! My pleasure . . . thank you! tons of bright, VIVID color to wet anyone’s appetite! Tons of flavor too! 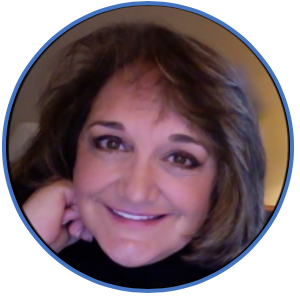 Please stop by and visit my recipes for “La Bella Vita Cucina” on Yummly . . . and add some of my very own favorites to your recipe box. 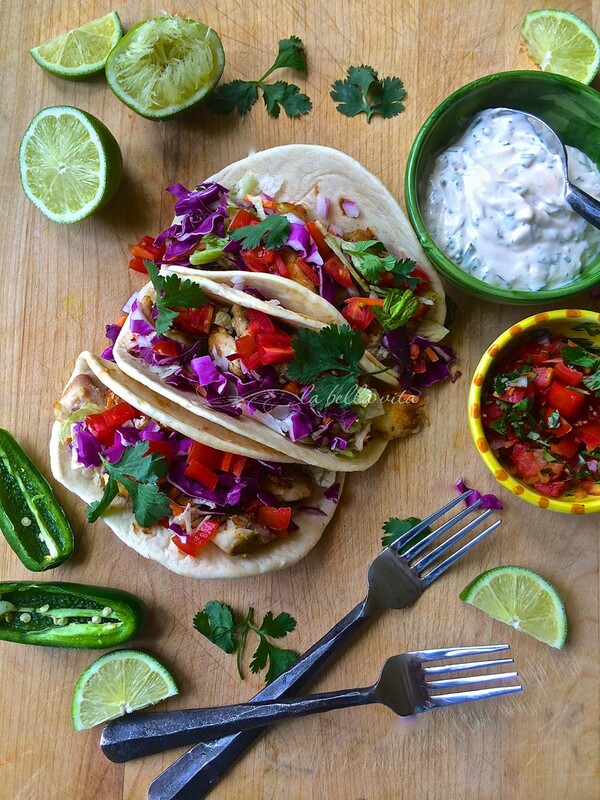 open wide for these delicious Fish Tacos to taste all of the flavors all at the same time! I took the red snapper from a previous recipe on Caribbean Fried Red Snapper that was marinated the day before in the traditional Caribbean Green Seasoning Marinade. I then sautéed the left-over fish in a skillet for about 5 minutes and created a crazy-outstanding creamy sauce for taco toppings. 1 pound fish (I used red snapper, but you can also use tilapia and cod) — marinated the day before in the “Caribbean Green Seasoning Marinade“. Marinate the red snapper the day before in the traditional Caribbean Green Seasoning Marinade. After marinating, cut up the fish into chunks to fit into soft tortillas. Chop, slice, and prepare all of the toppings for the tacos. Before serving time, sauté the marinated fish in a skillet for about 5 minutes in 2 – 3 Tbsp. of olive oil. Slightly warm and soften the tortillas in the microwave for about 25 seconds each. Prepare chipotle, cilantro and lime crema simply by combining all of the ingredients. 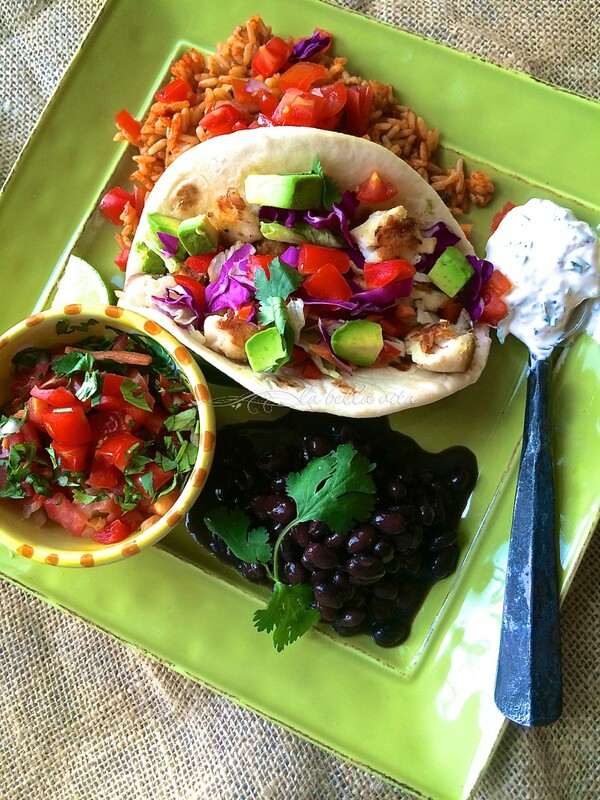 Serve the fish tacos either completely assembled as shown in the photos OR present toppings and the crema in separate attractive serving bowls and allow guests to prepare their own fish taco and toppings according to their preferences. Great looking tacos Roz – it’s always nice to arrive at the recipe you really like. Thanks Larry, so good that fish-taco-hating-husband, Bill devoured them. That’s my litmus test! So very appetizing! I simply adore the colour and flavour here. The colour certainly wets the appetite, Angie! You’re the colour pro in the food department my dear! Holy smokes! What awesome tacos! Good work !!! Awe, thanks Susan! They were fun to make and yummy in the tummy! These look amazing, Roz! They are so colorful. Your pictures make me feel like I could take one out of my screen. I’m sad that I can’t, because I love fish tacos. Thank you so much for the recipe. I also appreciate the tips for doing things ahead of time. It is so fun that you are being inspired to cook from the trip you took recently! Hey Sring hari, For fish tacos, I have to say that these are A+++, but the only way that I know this for sure, is that my husband doesn’t eat fish tacos for anything, but he devoured these! Yum-o! Hope you’re doing well, it’s hitting 100 today and bringing back memories of AZ (minus the humidity that we have here! )…..talk about not wanting to MOVE at ALL! And they (the fish tacos) were absolutely diving . . . just ask my husband who devoured them despite not liking fish tacos at all. Now there lies proof in the pudding! 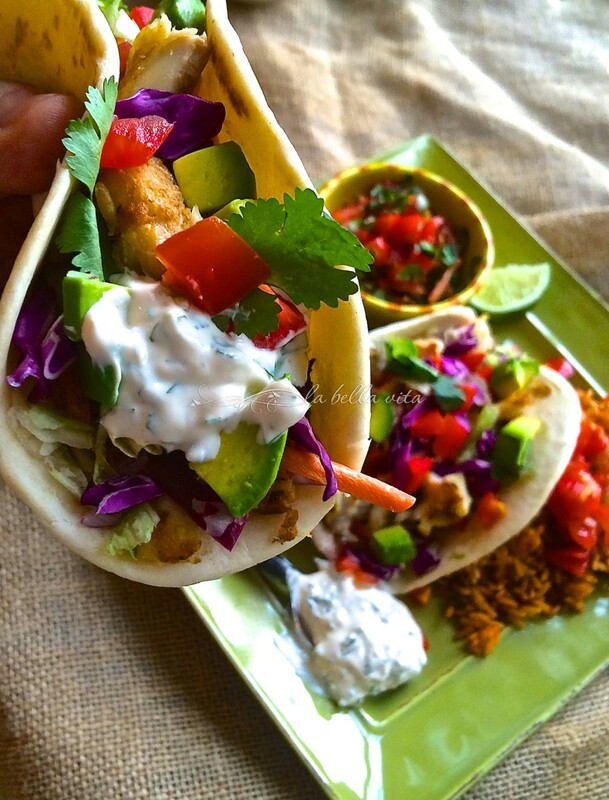 What’s not to like about this fish tacos?!! So simple but yet so many flavors and texture, the two things that make the perfect taco. One normally sees fish tacos with corn tortillas, but looks like you used some delicious looking flour tortillas. I need to try that. Thanks for all the work in getting to the best fish tacos! What a good eye you have M.J.! Yes, I did choose to purchase from the local bakery some fluffy, fresh, puffed out tortillas. That made a BIG difference. 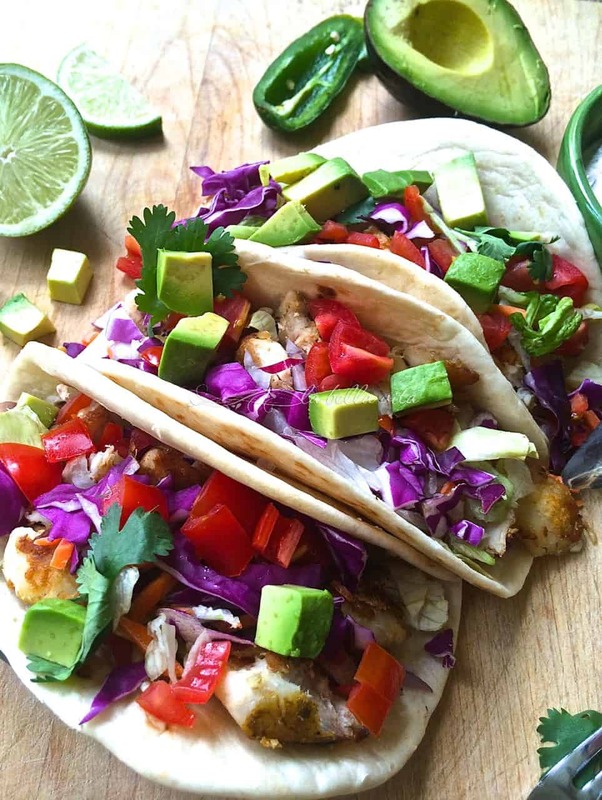 These had to be the most delicious fish tacos that we’ve ever tasted . . . . probably due to the Caribbean (easy peasy) marinade the day or two before. Since my husband does not like fish or fish tacos, this recipe is validated in that he devoured 2 fish tacos, one right after another. If you try this recipe, M.J., please let me know what you think!